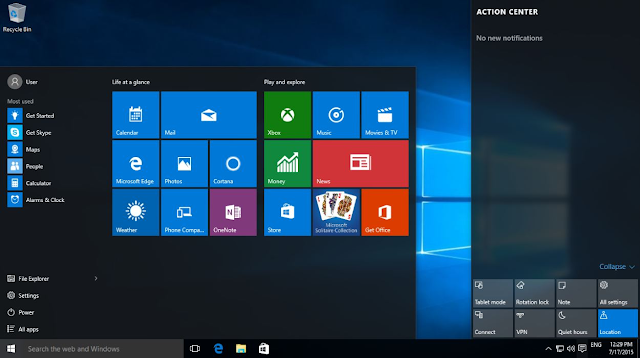 Home » » Windows 10 AIO : Publicity, Privacy & Performance. Windows 10 AIO : Publicity, Privacy & Performance. Microsoft is back again with it's latest Windows 10 Operating System. It literally works on every computing Device. First impression of Windows 10 was everything was looking beautiful.The new My computer icon(This PC). 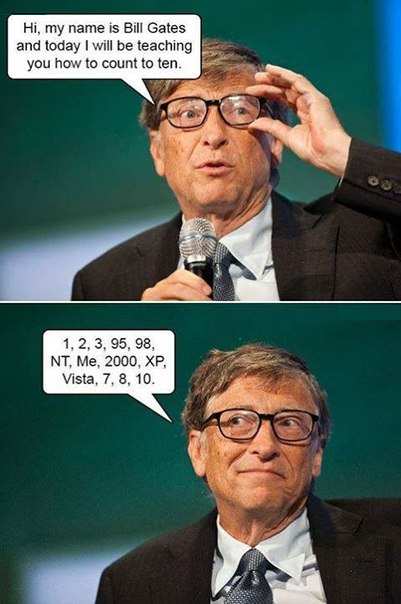 People are still confused that there was an windows 9 Operating System but let me clarify again that Microsoft skiped win9 and introduced windows10. If you find windows 10 Build 10240 in Winver(Run Command) its final verson. Now check weather its permanently activated or not by typing this command in Command Prompt " slmgr /xpr " if it says yes it is. then congratulations it's Your new Permanent activated win.version! At first Glance everything looks brilliant you can place your windows App on start Menu if you are using that. you can also have eye on the recent events occurring on the system the edge browser looks fantastic. Cortana : This Voice recognition based toy/tool can be used for entertainment it really works perfect when you give command like Hey Cortana, Which is batter Xbox or PlayStation. and of course it will tell "xbox" as an answer. cortana is fun for some people but some people who are spending more time outdoor don't really use it actually(#Privacy) .you can't say Hey cortana, send an email to Bill Do you like Mac OS? or the other stuffs.There is an app which runs in the background which will know lots of stuffs about you. Geolocation feature on windows will reveal Literally EXACT LOCATION this info can be gathered by the advertisers or the App owner. who wants weather updates everyday? you got your phone/TV right? internet is the future, many people are giving up local cable tv and started to use youtube or the other online content. Will you give up your privacy just to use some apps which are cloud based and collecting your all data? Windows Error Report: This software on windows go beyond your expectation it will send your all the temporary data(myth or truth? not sure) to the microsoft. Edge browser will do the same. Windows Communist Update : Yeah you can not control it. you have to get updates why? because you got the free copy! many people have noticed system crash after getting forced updates on windows. windows search : it will provide Bing results! it can not compete to google at least for now however you can change it with duckduckgo or google in browser's default search engine.it seams like every query you search on your computer is recorded by some third party software? Disable windows store if you don't use those apps. Microsoft creates a unique Advertising ID for each user and Device! you can't have full control over Privacy. click on the image if you cant see it. and get back to this page. Hope you enjoyed this Article share it if you like it.